a friend of mine asked me, Why elephants for your 22 painting challenge? I decided it might be a question others have and didn't want to ask so I should answer here as well. after deciding that the subjects I chose to paint on the first two 3"x3" canvasses were too 'fussy', that I was still expecting myself to create perfect mini masterpieces, I knew I wanted something more loose and organic to paint. I feel elephants fit 'loose and organic' for me because it's more difficult for me to obsess too much about being 'perfect' with them; they are a beautiful thing no matter how they are depicted. elephants are the perfect answer to my dilemma of what to paint because they are tall, skinny and "well rounded" all in one creature; their eyes are sinkholes into the universe; they have this wondrous soul to them; they are a beloved, majestic, magical creature. these days, with my FB newsfeed inundated with images of these beautiful wild animals being used as slaves to humans for profit and entertainment, of them being killed for sport, I decided to use my talent as a small service to them for this challenge. that by bringing their image to canvas this way, others may see just how beautiful they are and to think about how we treat the creatures of the earth. 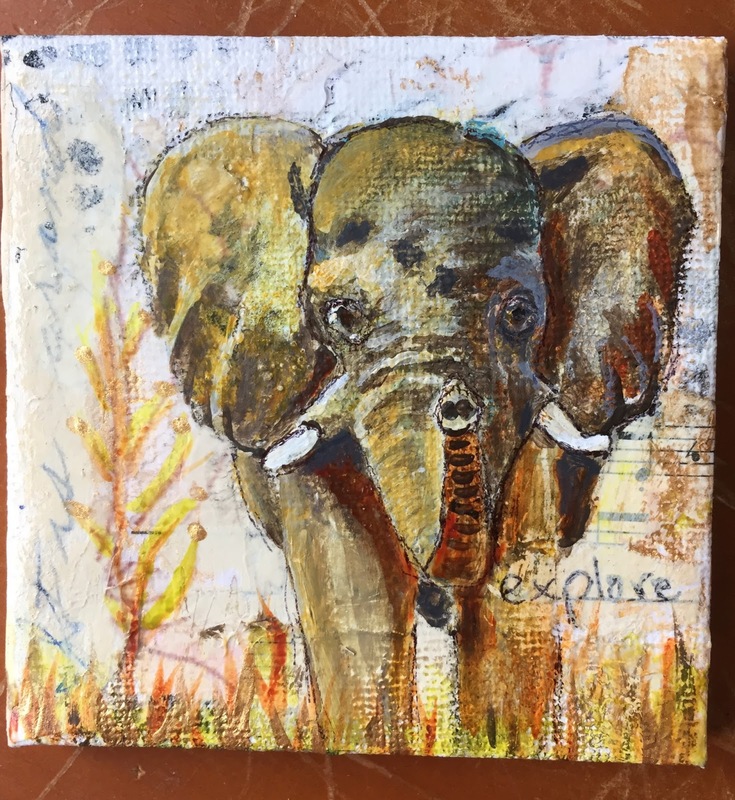 the elephant for me is a representative for all wild creatures in this series. a friend of mine is an advocate for the captive ones who are in need of help. she works in all kinds of weather to educate others, because these creatures aren't able to rest no matter the heat or the cold or how many have ridden on them, or if they aren't feeling well. she's become their voice, because they have no voice. 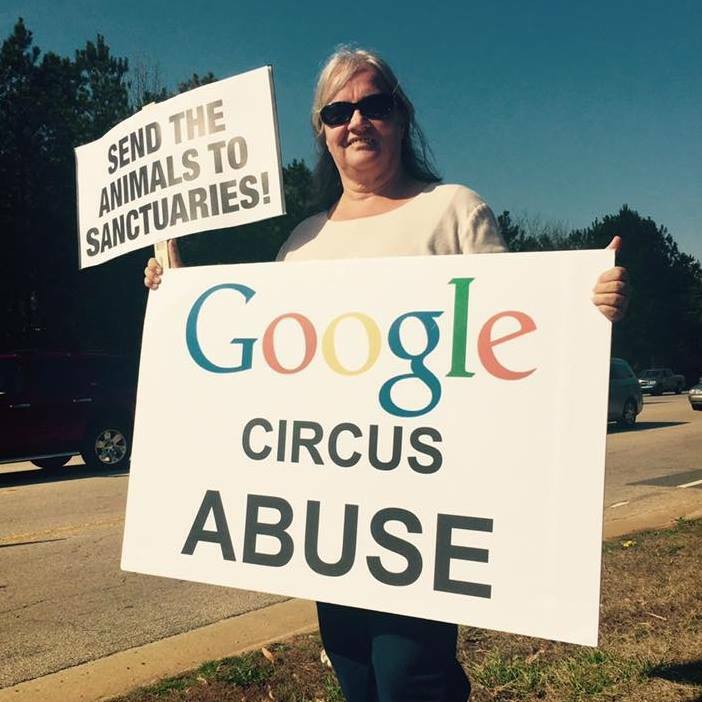 I'm extremely proud of my friend and honored to dedicate this month in her name to the plight of the elephant. they have touched my heart and soul. I'm still in the fiddling phase with him, but happy with it. (I guess I'm still obsessing a bit). he is done with collage, acrylics, charcoal and I outlined him in pen for a loose feel. it's also difficult to see, but there is shiny gold around this piece. he was a fun one to do, with just a bit of attitude.